For over 60 years, Gatorland has created fun, smiles and special memories for the millions of visitors who pass through its world-famous gator mouth entrance. Founded by the late Owen Godwin in 1949, and still privately owned by his family today, Gatorland is a 110-acre theme park and wildlife preserve that combines old Florida charm with exciting experiences, exhibits and entertainment, to make it Orlando’s Best Half Day Attraction®. 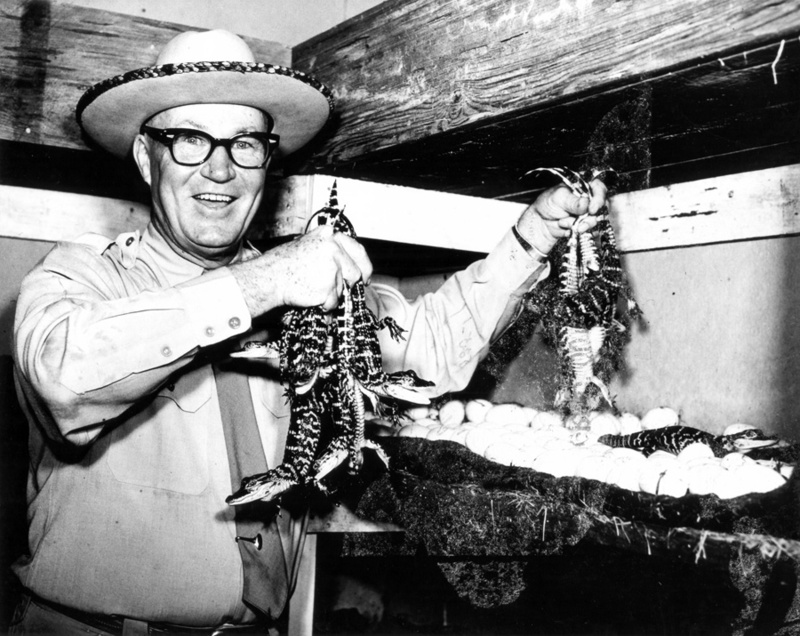 Owen Godwin, Founder of Gatorland. Owen started his business back in 1949 when he purchased a plot of land on Orange Blossom Trail near Kissimmee. He founded the Florida Wildlife Institute and, with the help of his wife Pearl, intended to give passersby an up-close look at amazing reptiles. What later became Central Florida’s first major attraction began simply as a roadside gift shop in a stockade-style building with a sawdust-covered dirt floor!